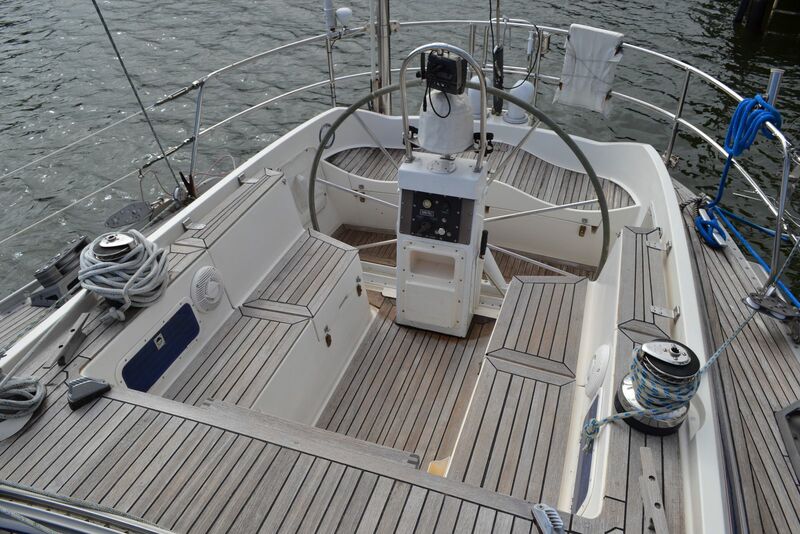 LENA III, a world-renowned German Frers designed Nautor Swan 46, Hull #47, is a powerful cruiser/racer built in Swan's famous factory in Finland. 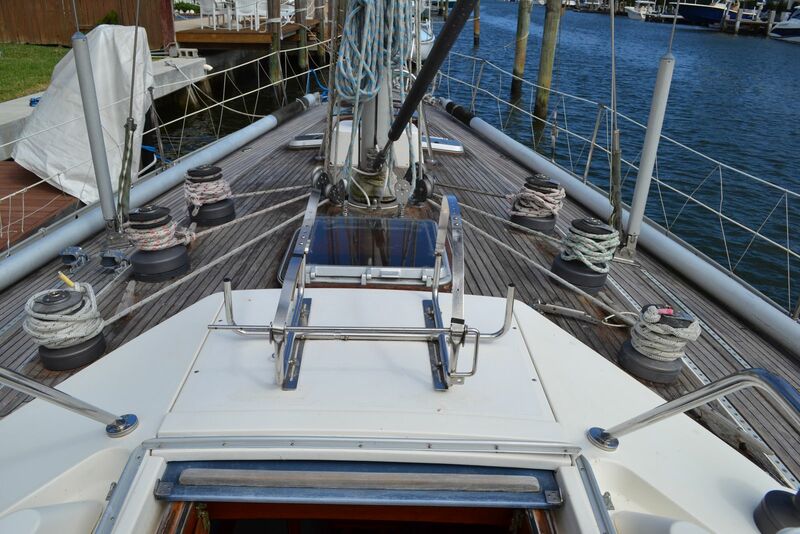 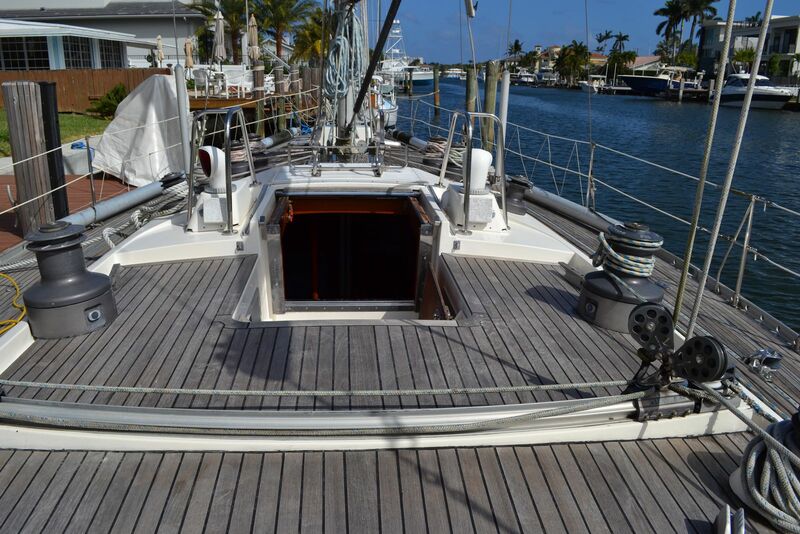 Recents upgrades and modifications include a bulb keel modification that reduced her draft from 8'2" to 6' and renewed teak side decks in 2015. 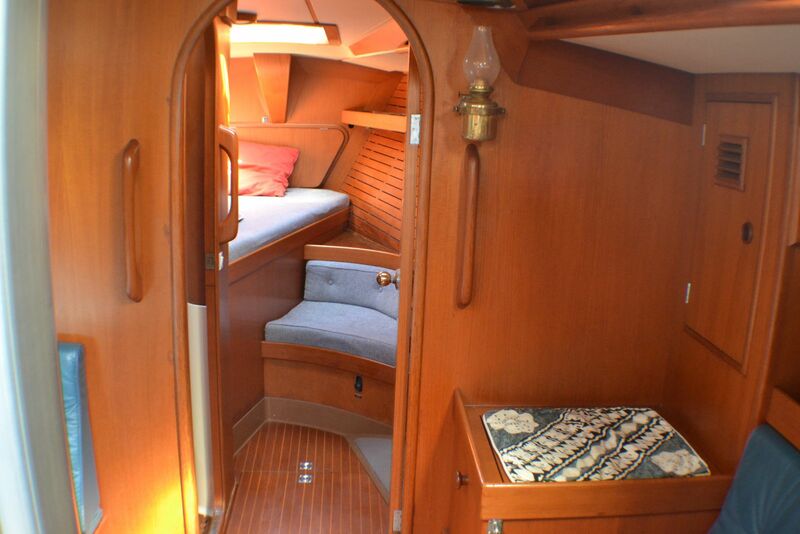 Lovely teak joinery adorns her remarkably roomy accommodations. 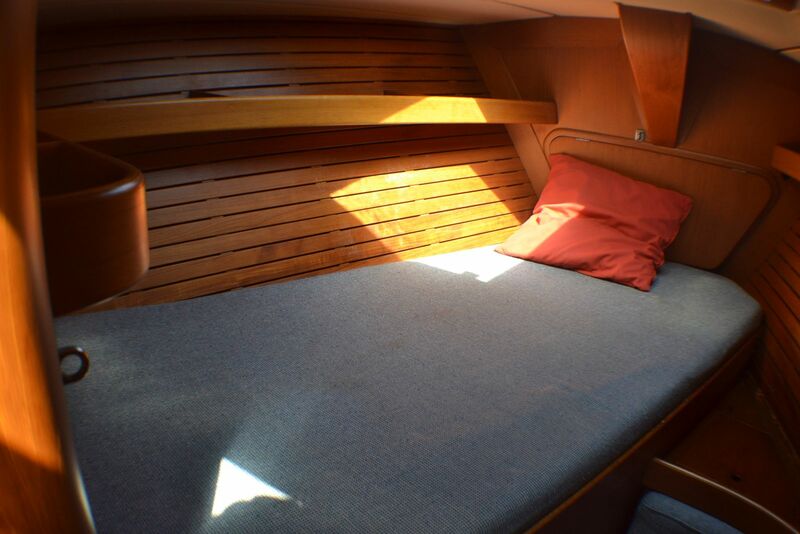 There a generous aft cabin with a queen centerline berth and a private ensuite head, a roomy main salon with a huge teak table, and a double guest cabin and second private head forward. 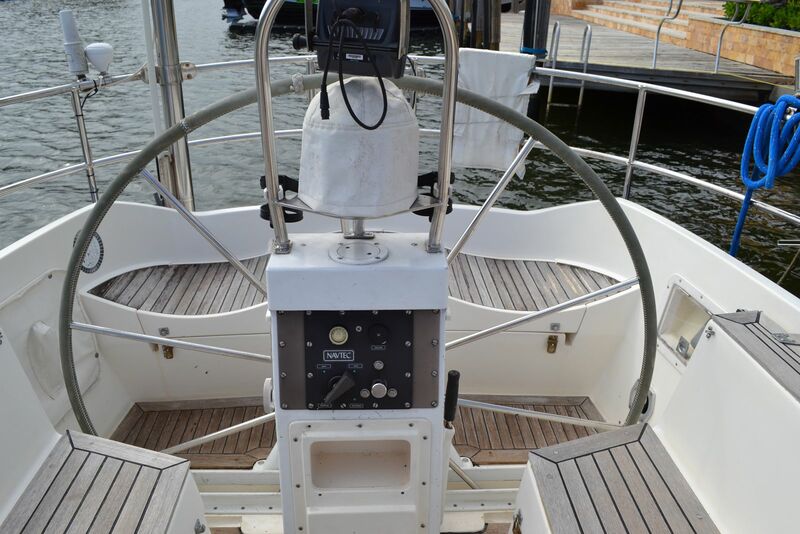 If you are in the market for a powerful cruiser/racer at an affordable price, LENA III is the yacht for you. 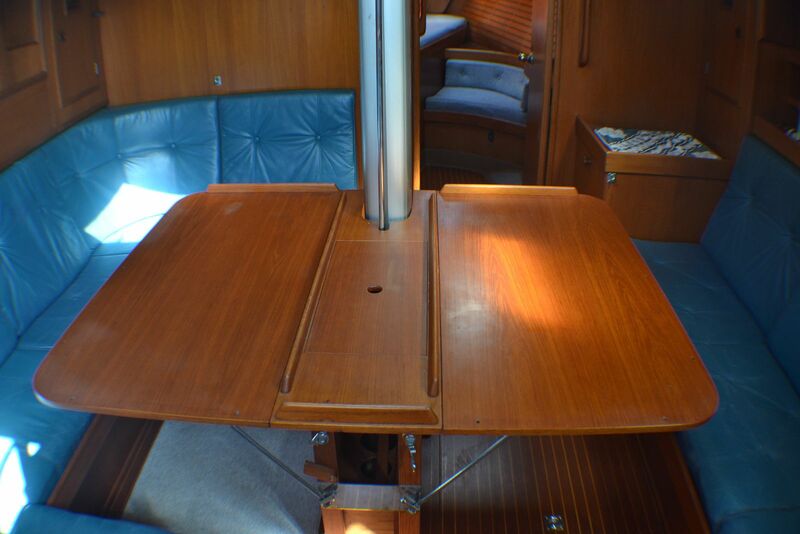 LENA III's powerful masthead cutter rig includes a traditional mainsail, a furling genoa and a furling staysail. 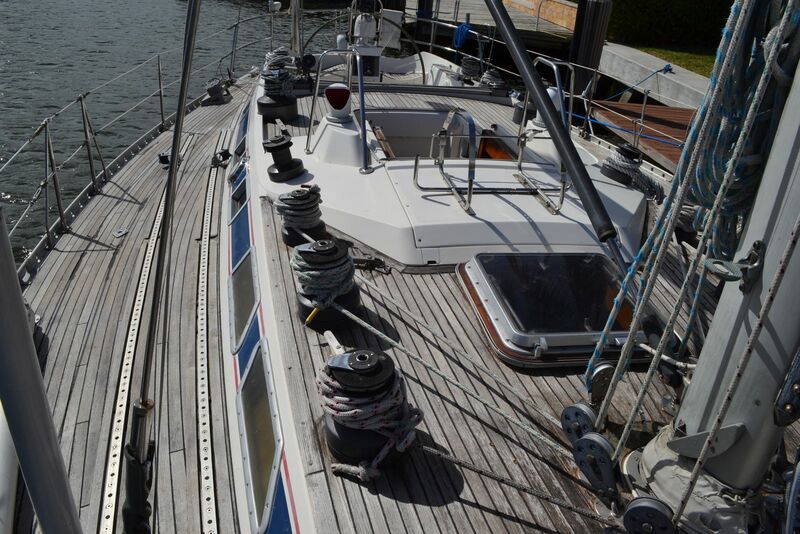 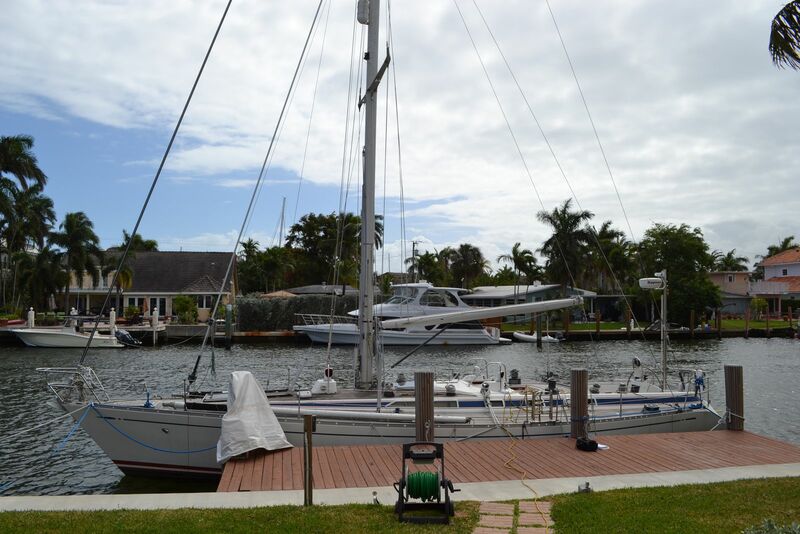 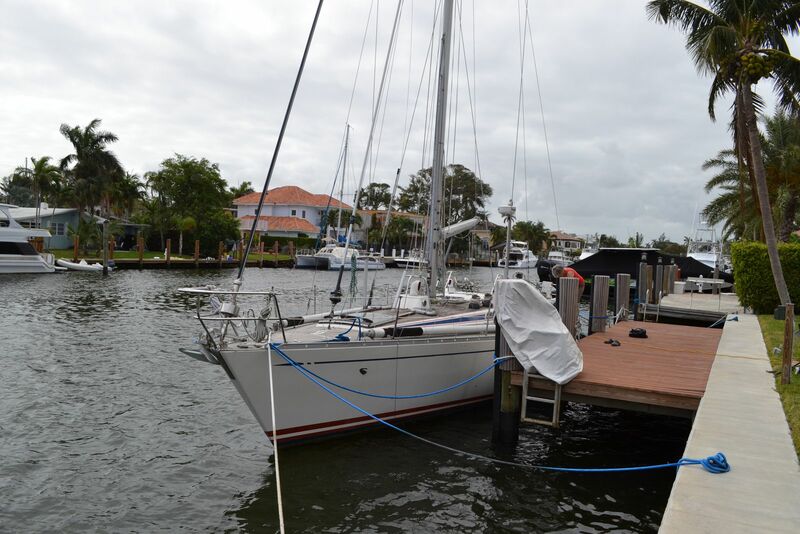 Her large sail inventory includes 2 genoas, 2 mainsails a spinnaker. 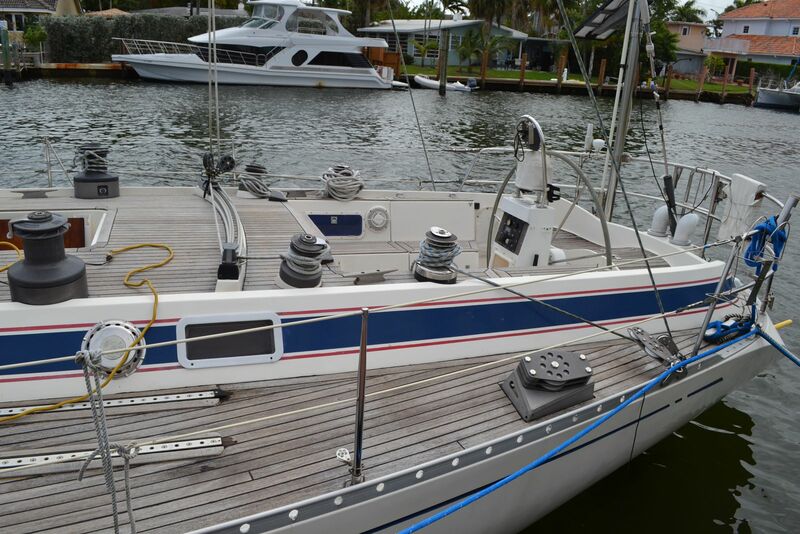 2 spinnaker poles on deck. 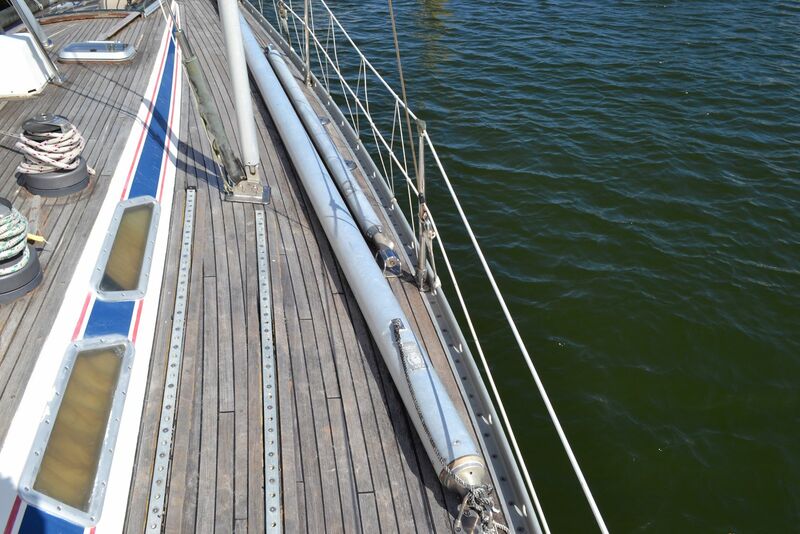 Hydraulic boom vang and back stay adjuster. 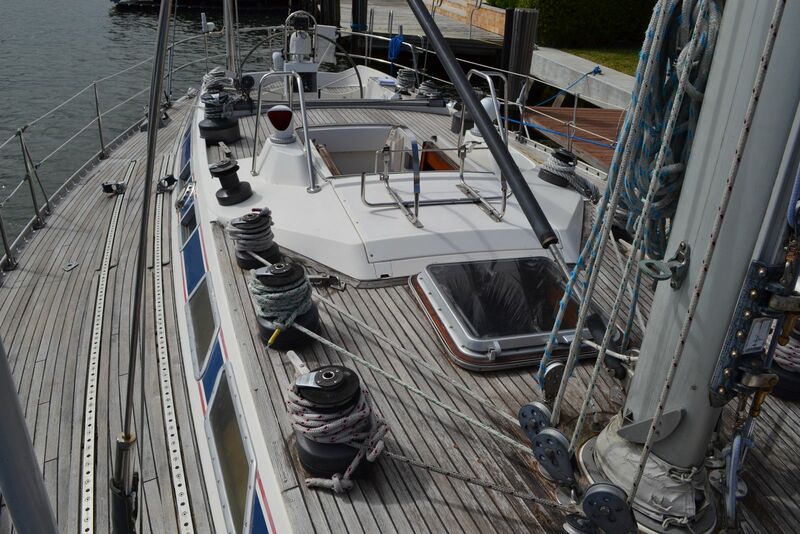 14 deck-mounted winches that include 2 Andersen electric primaries, new in 2014; 4 Lewmar 52 halyard winches, 6 Lewmar 46 deck winches and 2 Lewmar 65 secondary winches. 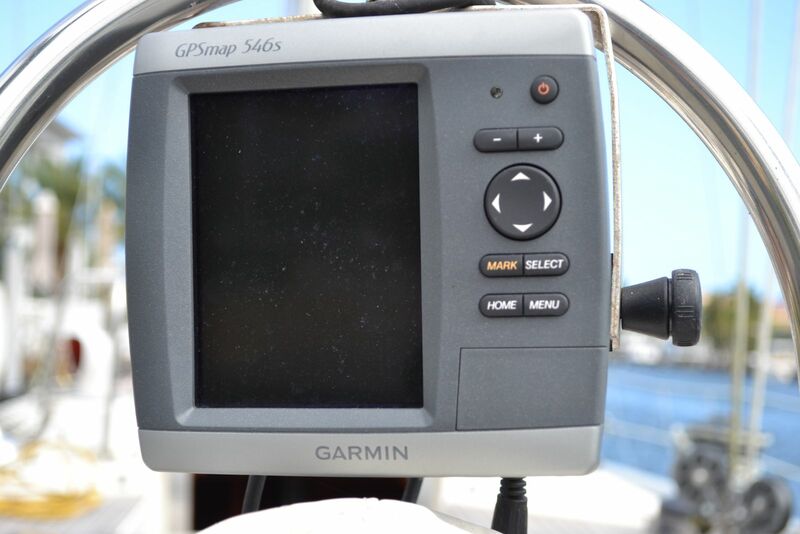 Raymarine E80 multi-function GPS/Chart plotter with RADAR overlay. 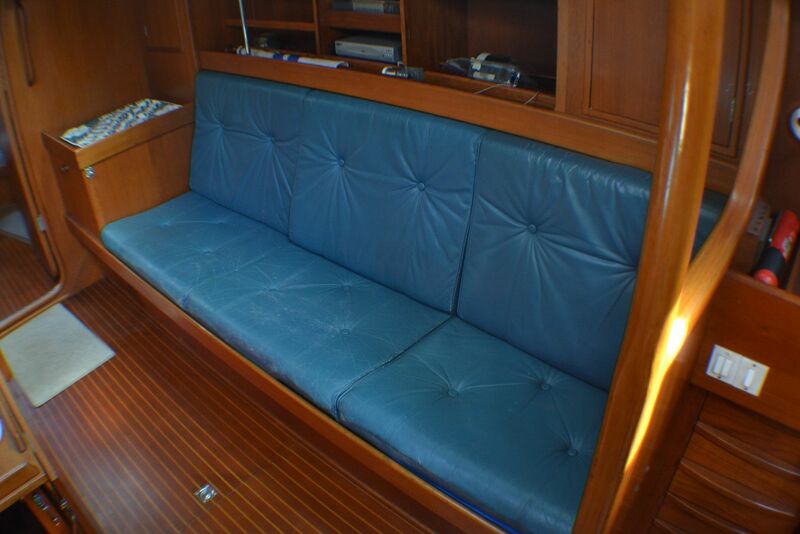 LENA III's main salon has an U-shaped settee to port and a straight settee to starboard. 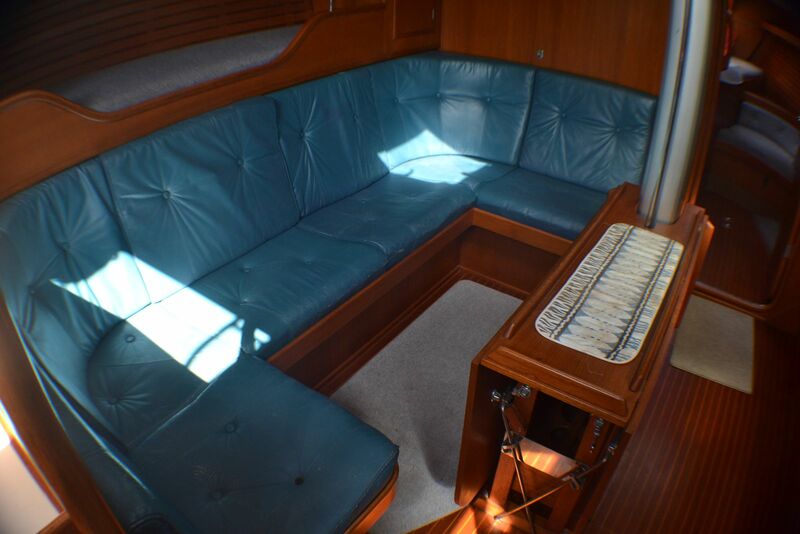 A lovely teak dinette table opens to reach both settees creating a surprisingly large dining area with seating for up to 8 persons. 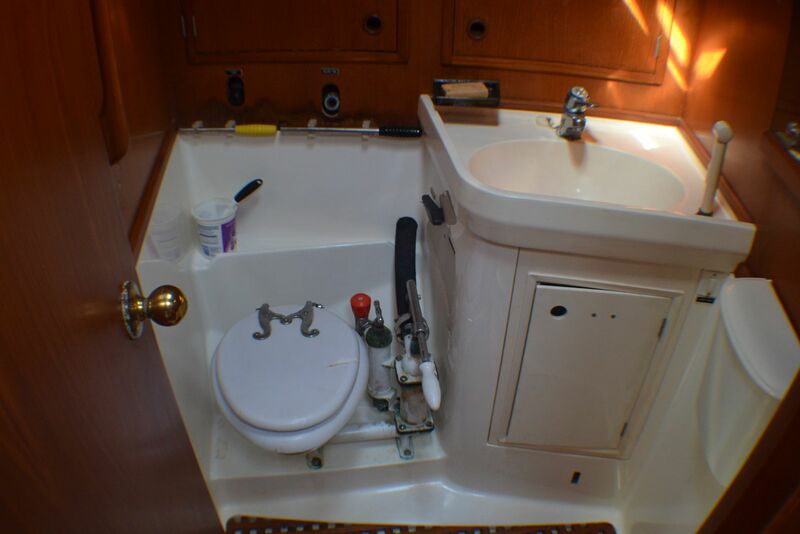 Her master stateroom aft is accessed through the linear galley to port and features a queen centerline berth, unusual for an aft cockpit vessel, port and starboard seating areas, ample storage and a private ensuite head with shower. 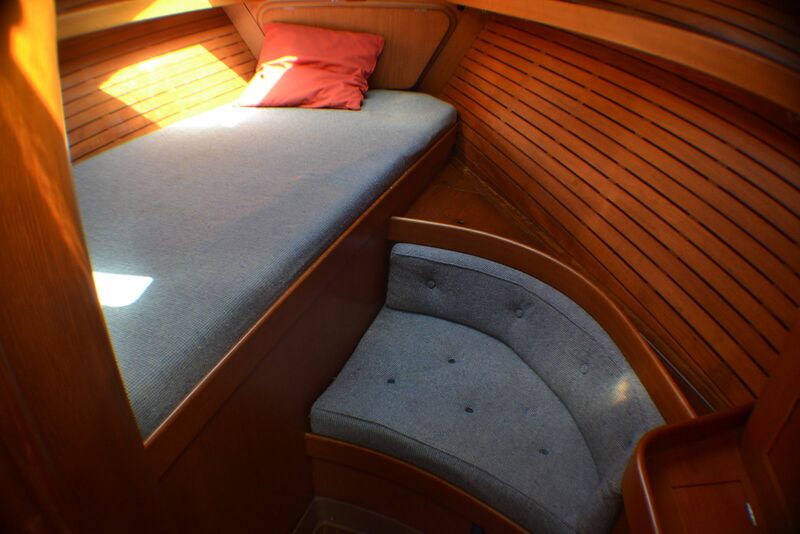 The generous guest cabin with a large double berth and dressing seat is forward with a second head for guests forward of the main salon to port. 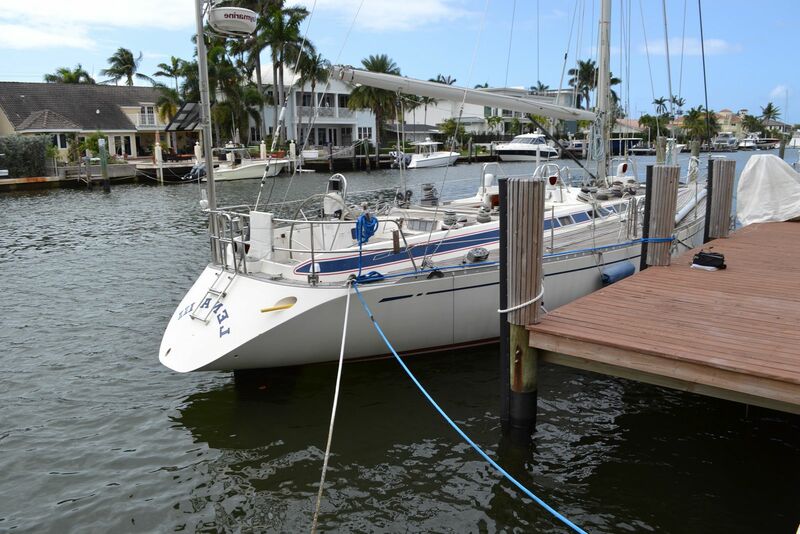 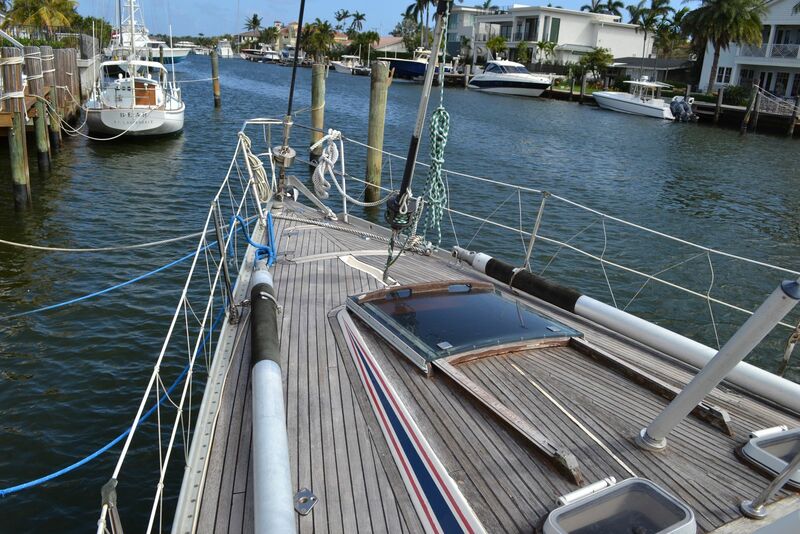 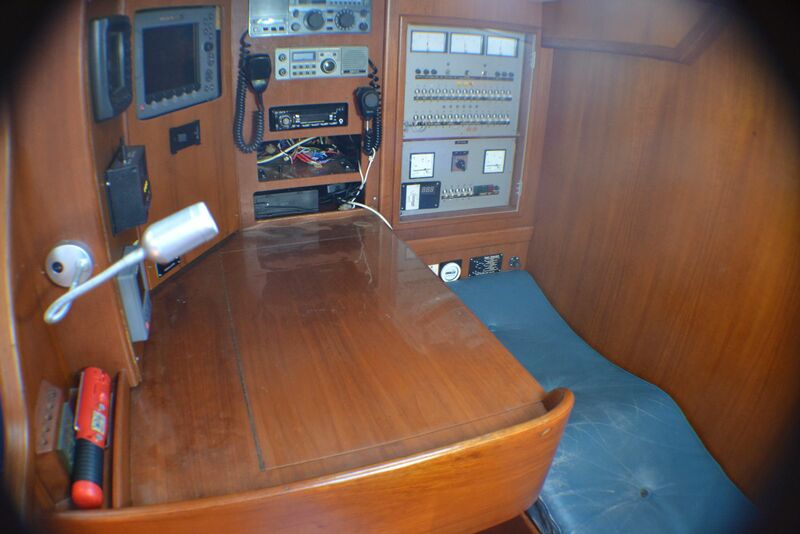 The nav station is located to starboard of the companionway. 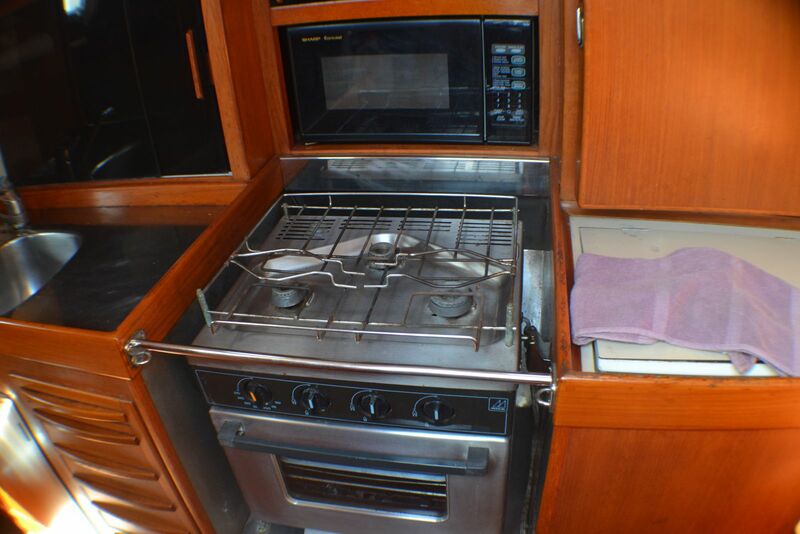 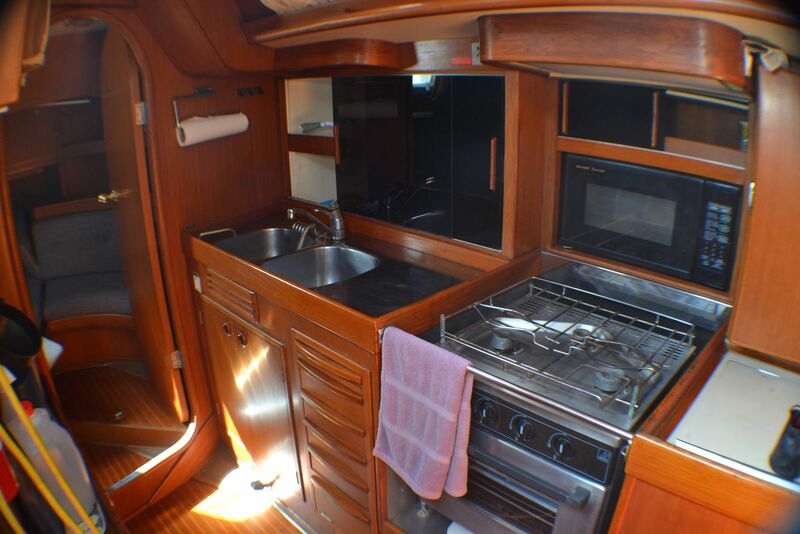 LENA III's galley features a 3-burner propane stove with oven, double stainless steel sinks and a microwave oven. 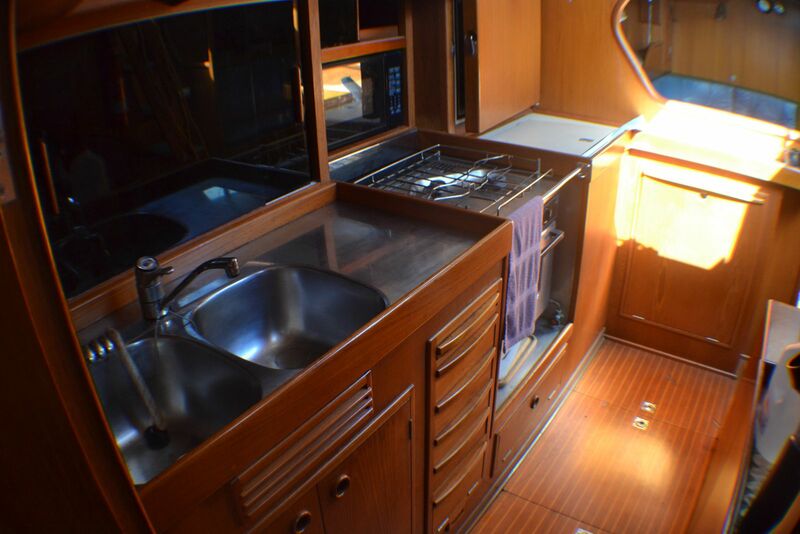 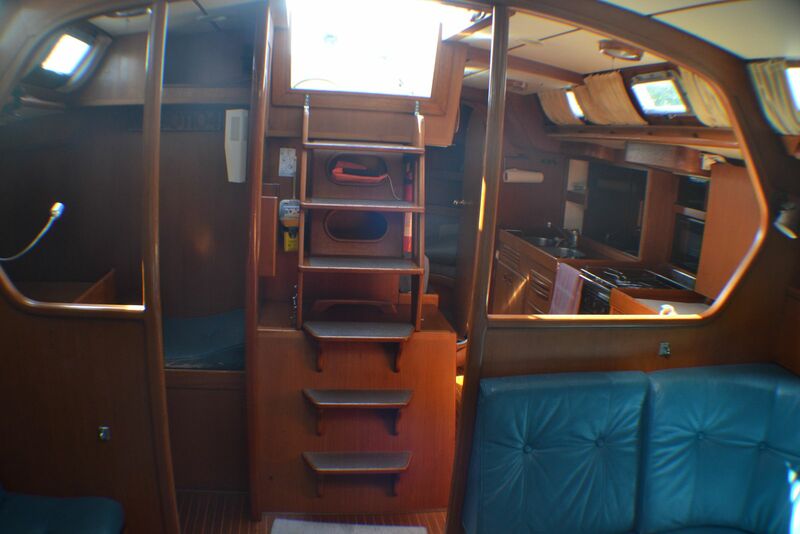 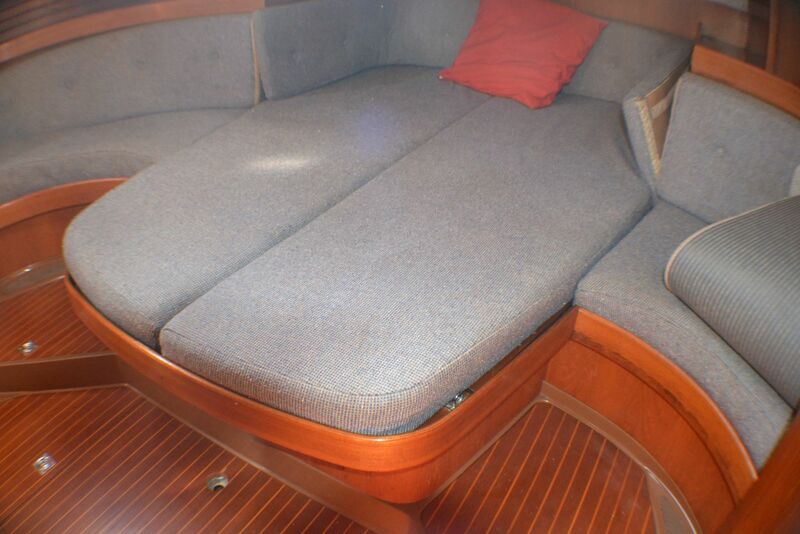 Located to port of the companionway, the galley also serves as a linear passageway to the master stateroom aft. 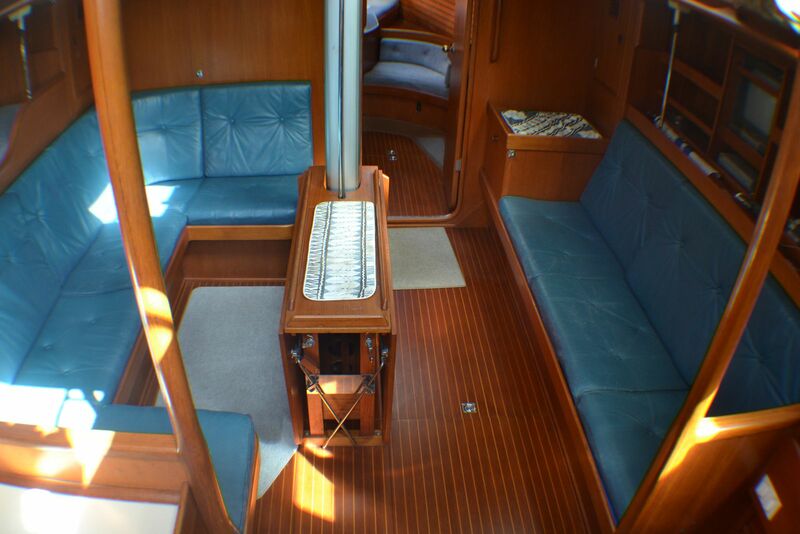 LENA III is powered by her original 4-cylinder 58 HP Perkins diesel. 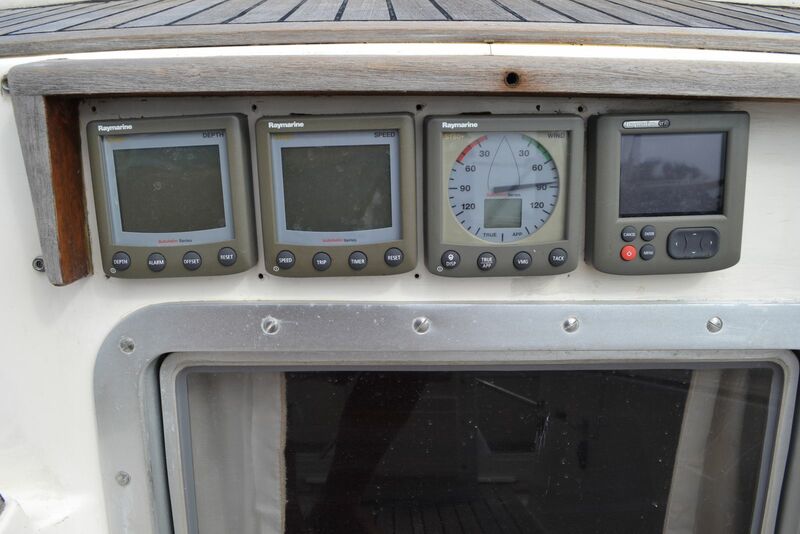 New starter batteries were installed in 2017. 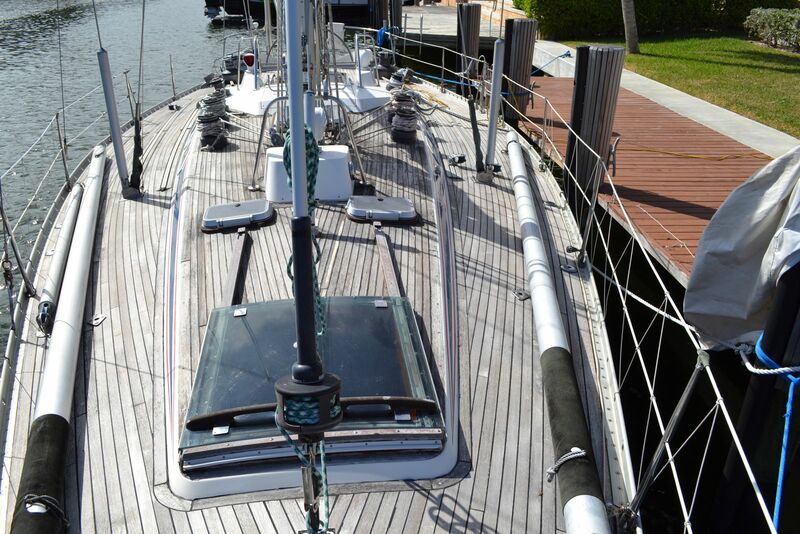 LENA III carries 99 gallons of fuel and 127 gallons of water in stainless steel tanks.